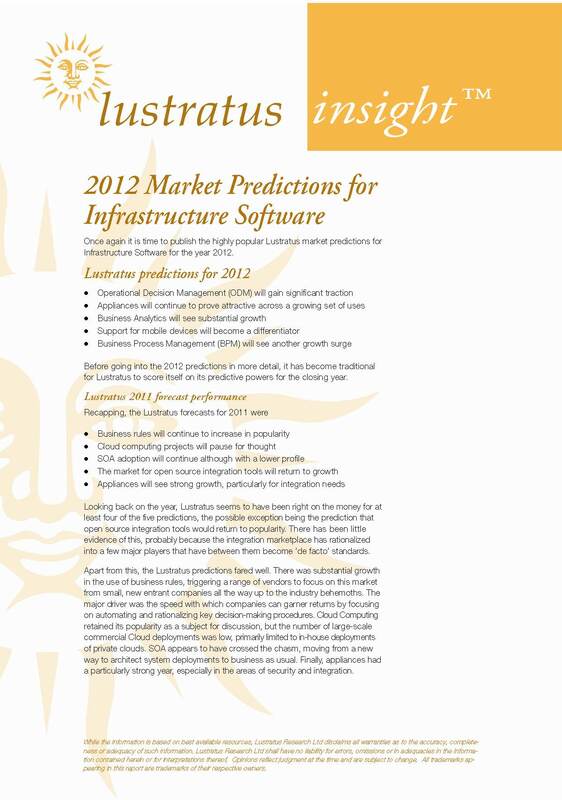 What are the key 2009 trends for software infrastructure? 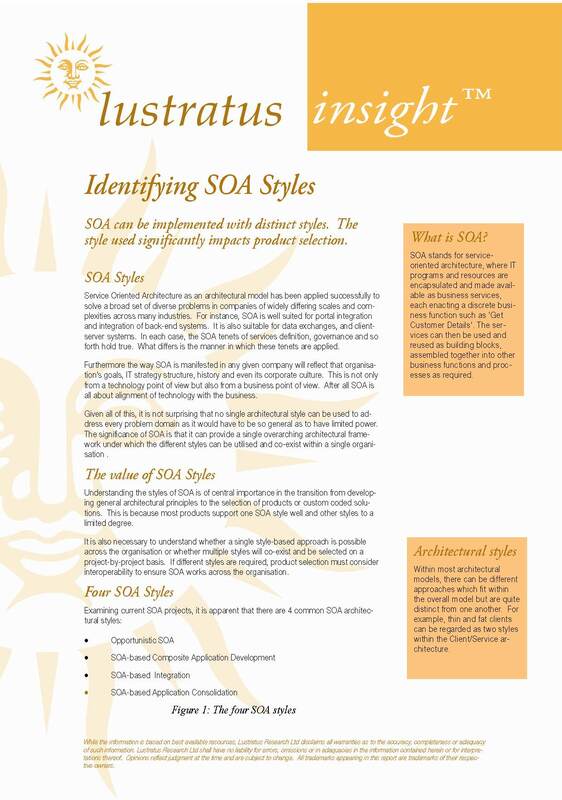 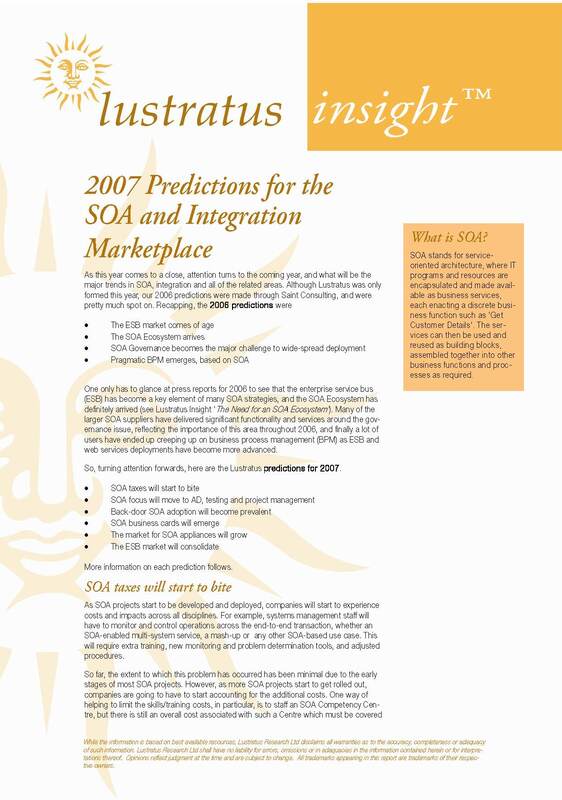 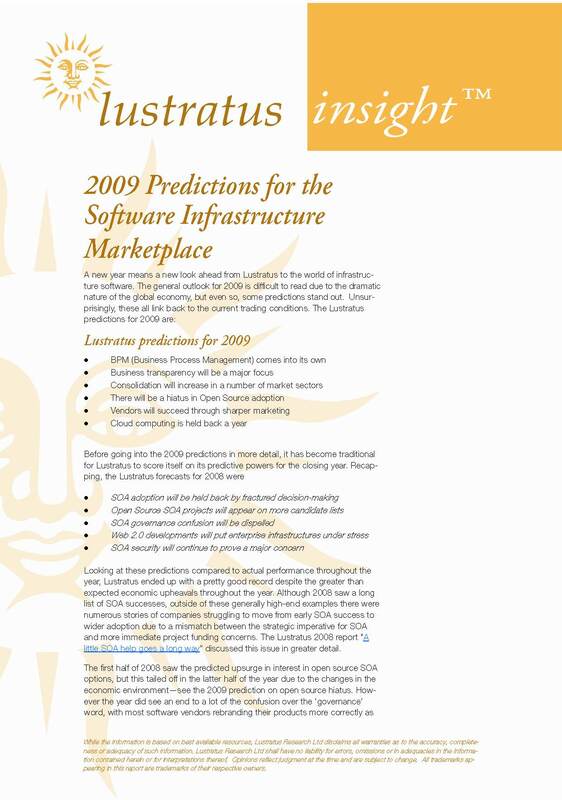 This Insight documents the annual Lustratus predictions for the software infrastructure marketplace for 2009, including areas such as business integration, SOA and BPM. 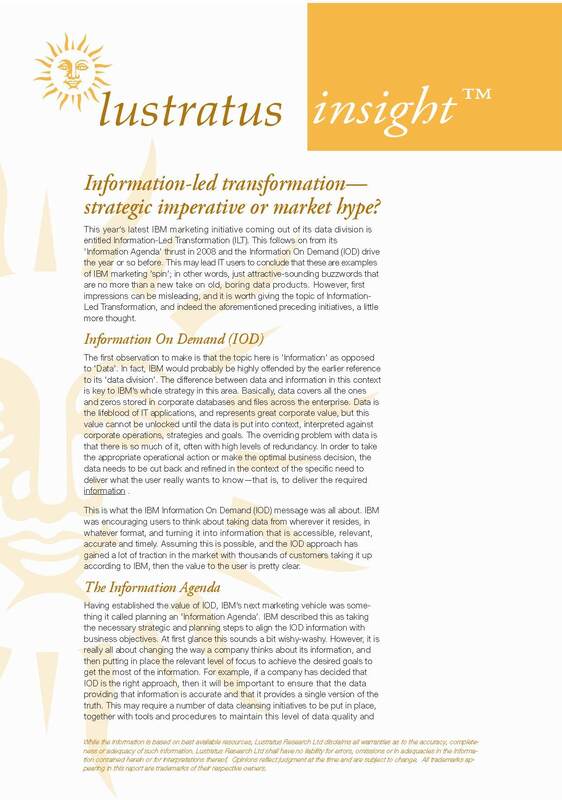 The key trends are identified and discussed.